The Right Honourable Jeanne Sauvé was a woman of courage and vision. A formidable intellect and inspired communicator, her passionate commitment to her country, her ideals and to public life was graciously tempered by her warmth, elegance and irrepressible sense of humour. Throughout her distinguished career, she remained at the forefront of the most socially progressive issues of her day. As a fervent nationalist, she held firm to her belief in the integrity of Canada as the product of two predominant cultures, French and English, and strove tirelessly to promote the cause of national unity. Lauded as “a woman of firsts” for the many traditionally male roles she held, Madame Sauvé felt the most valuable contribution she could make to the progress of women in society was to perform her duties in the most competent and professional manner possible, demonstrating through example the innate capacity of women to participate fully and actively in the affairs of the nation and the world. Born Marie Jeanne Mathilde Benoit in 1922 in the small village of Prud’homme, Saskatchewan, Canada, Jeanne grew up in Ottawa, Ontario, where she completed her primary and secondary schooling with the Catholic Sisters of Charity, a religious education that instilled in her the great spiritual faith that sustained her throughout her life. After graduation, Jeanne moved to Montreal to work with Jeunesse étudiante catholique (JEC), an international Catholic youth organization, whose primary aim was to help youth cope with the stresses of the post-World War 1 era and the Depression. On the forefront of a wave of significant social upheaval in Quebec, the JEC movement was instrumental in cultivating a climate of political and religious enlightenment among the youth. While working at the JEC, the young Jeanne Benoit met Maurice Sauvé, another young political activist. They married and moved to London, England in 1948 to work and study. Later, they moved to Paris where she served as assistant to the Director of the Youth Secretariat of the United Nations Educational, Scientific and Cultural Organization (UNESCO) and obtained a diploma in French Civilization from Université de Paris. At this time the Sauvés joined the World Assembly of Youth (WAY), a new postwar youth movement, dedicated to fostering political leadership and enhancing international relationships among youth leaders of the post-war era. With Maurice as President and Jeanne as Secretary, WAY served as an incubator for many of the international political leaders that Madame Sauvé was to encounter later in public life, and was the inspiration for the Foundation that would in later years serve as her legacy. In the 20 years following their return to Canada in 1952, Jeanne Sauvé earned a reputation as an astute political journalist and analyst of public affairs on both English and French radio, in the emerging media of television, and in the written press. Among the television shows she created, wrote and hosted was “Opinions”, a popular half-hour youth panel with discussions on the current or controversial topics of the day. Popular with young and adult audiences, the program made Madame Sauvé a celebrity in both French and English Canada. With the birth of her only son, Jean-François in 1959, motherhood became her main priority although she continued to exercise both her intellect and her craft. In 1964, Jeanne Sauvé became the first women to be elected president of l’Institut canadien des affaires publiques, a French Canadian think tank that held annual conferences on issues of significant national importance. Two years later, she was elected General Secretary (and later vice president) of the Fédération des auteurs et des artistes du Canada, a union of French-speaking authors and artists that was formed to address issues relevant to the welfare of its membership. In this period, Madame Sauvé also gained a management perspective and experience in communications policy formulation serving on the Boards of Directors of three private broadcasting corporations. In 1972, Madame Sauvé ran for a seat in the House of Commons under the banner of the Liberal Party of Canada, was elected and was immediately appointed Minister of State for Science and Technology, thus becoming the first Quebec woman to hold a cabinet post. Re-elected in 1974, Madame Sauvé was appointed Minister of the Environment, where issues such as the pollution in the St. Lawrence Seaway, the dangers of PCBs and the threat of world population growth dominated the agenda. Later, responsibility for foreign relations with French-speaking countries was added to her portfolio. Then, in 1975, as Minister of Communications, she found herself back in the familiar territory of broadcast policy. During this mandate the people of Quebec elected a separatist provincial government committed to holding a referendum in the province to determine whether this predominantly French territory would secede from Canada. Madame Sauvé campaigned fervently to convince her fellow Quebecers to vote to keep the province within Canada. Although the Liberal party was defeated in the general election of 1979, Jeanne Sauvé was re-elected. When the minority Conservative government was defeated, the Liberals were returned to power in 1980 and Madame Sauvé assumed a new role, as Speaker of the House of Commons. Not only was she the first woman to be elected Speaker, she was also the first non-lawyer. Madame Sauvé accepted the challenge of presiding over the House and its administration and embarked on a new and challenging role as the first woman in Canada to serve as Speaker. The sessions of Parliament over which she presided were among the most raucous in Canadian history; however it is the reform of the administration of the House of Commons that proved the greatest challenge and one of her most enduring legacies of that period. The other, of which she was equally proud, was the establishment of a children’s daycare centre within the precincts of Parliament Hill, the only such facility to exist at the time within the entire federal government. Jeanne Sauvé made history again when, in 1984, she became Canada’s first female Governor General, the representative Head of State for Canada and Commander-in-Chief. She was the 23rd Governor General and the sixth Canadian to hold the vice-regal office. As the three primary themes of her mandate, she chose national unity, peace and youth and advocated tirelessly on these issues throughout the course of her vice-regal duties. The Governor General is the representative of the Queen in Canada and sits at the apex of Canadian government. The duties include both constitutional and ceremonial responsibilities, among them serving as advisor and confidante to the Prime Minister and rarely but significantly, intervening in times of political or constitutional crises to ensure the continuity of authority and good government in Canada. During her tenure Madame Sauvé traveled extensively throughout all regions of the country meeting and talking with Canadians; she served as patron to numerous national non-governmental organizations; undertook state visits to foreign countries; received thousands of Canadians at functions at her official residence, Rideau Hall; and through hundreds of speeches and events, celebrated all that is essentially worthy and noble across the nation. In 1986, on behalf of the ‘People of Canada’, Mme Sauvé accepted the Nansen Medal, a prestigious international humanitarian award given in recognition of major and sustained efforts made on behalf of refugees. This was the first time since the medal’s inception in 1954 that the United Nations High Commissioner for Refugees presented it to an entire population. The Nansen Medal is kept at Rideau Hall. As the end of her tenure drew near, Madame Sauvé, recalling the positive experiences of her youth in the JEC and WAY, chose as her legacy to establish a Foundation which would foster similar leadership opportunities for young people and establish networks of national and international association for generations to come. 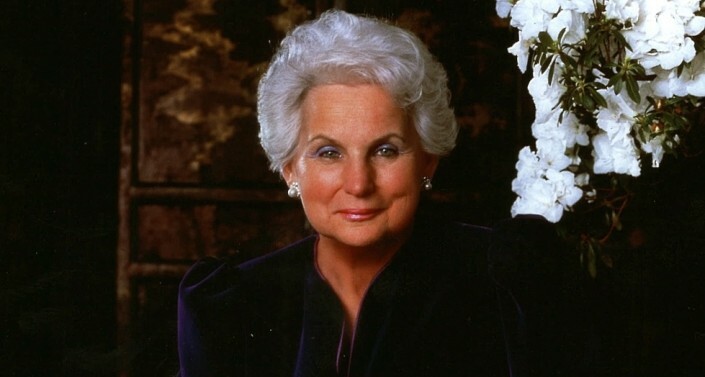 The Right Honourable Jeanne Sauvé’s term as Governor General ended in 1990 and she retired with her husband to Montreal, Quebec to continue her work with the Jeanne Sauvé Foundation. She died January 26, 1993, one of the most accomplished and respected women in Canadian political history.